BSP, an abbreviation of Best Sound Point, was developed to help the BeHear user reach the level of sound that best suits his/her needs in a specific environment. Whether or not the user has performed the Hearing Assessment to customize the headset for all environment presets (Indoor, Outdoor, Crowd and Live Music), this function provides the user with more control over the sound that reaches his/her ears and can be adjusted easily at any time. Changes to the BSP can be saved to a specific preset or discarded. In the latter case, the settings will be reset to the preset default. Each square in the grid defines a specific sound level which is a unique combination of frequency (left to right is low to high) and amplitude (bottom to top is low to high). The edges of the grid represent the extreme combinations. Moving along the horizontal axis changes the frequency component of the sound, from low on the left to high on the right. Moving along the vertical axis changes the amplitude component of the sound, from softer sounds close to the line to increasing loudness as you move away from the line. Consequently, each square on the grid represents different tuning of the BeHear device. Areas that are close to each other have small differences between them, while areas that are far away from each other have a larger difference. For example, if a user taps a square in the lower right corner, and then taps on a square in the upper left corner, s/he is going to hear a larger difference than if s/he moved only one step to an adjacent square. To find the most comfortable listening level for the current environment, touch a colored square in the relevant region with your finger until you feel the vibration. Wait for 1-2 seconds until the change is applied. Repeat this with other colored squares to find the position where the hearing is most pleasant to your ears. This simple app (available for Android and iOS) lets you optimize your hearing for the current sound environment. Test your hearing. 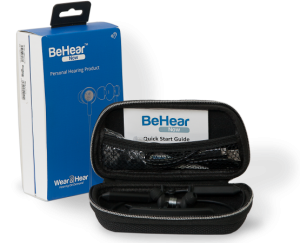 BeHear will use the test results to adjust the sound automatically for various operational modes (ambient hearing, phone calls, audio play). 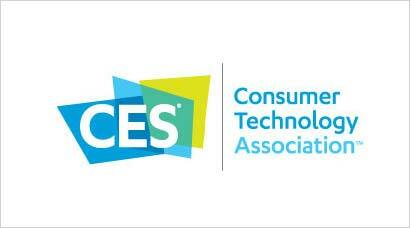 Choose the relevant hearing environment: Indoor, Outdoor, Crowd or Live Music. Fine-tune the sound using the BSP grid in each operational mode in real time to suit your personal preferences. Activate the EasyListen™ feature to dynamically slow down incoming phone speech to increase intelligibility. Manage settings, such as vibrations and auto connect.